Find My Workspace lists over 95% of the business centres market in Uxbridge. Simply click Request Quote to check pricing for one office, or Add to Basket for multiple offices. The centre is located in a vibrant area in the heart of Uxbridge. A great deal of love and careful attention to detail went into building the airy, spacious and elegantly furnished rooms. The centre hopes to create an atmosphere of tranquility and privacy where you will enjoy working. The space offers flexible rates, as well as discounts for longer term lets. Located next to Frays River, the building offers an excellent location for start-up and small businesses. Uxbridge Town Centre and Underground Station with easy access into Central London is just a 10-minute walk, as is the Bus Station. London Heathrow Airport is just a 15-minute drive. 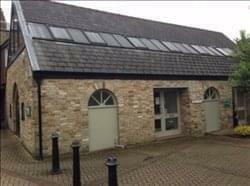 Offices suitable for one to eight people which can be furnished or unfurnished. The entire building is unbranded, with high-speed internet access, ready-to-go and optional phone handsets with Uxbridge phone numbers. There is a manned reception area, kitchen area, telephone answering, PA / secretarial support, mail handling and car parking to rear of building. This centre is a modern converted bungalow next to Fray’s River and Fassnidge Park. It has three offices downstairs and one office upstairs allowing for flexibility and privacy. Space can be let by individual workstation or by office, and the front two offices could be let out with a shop front. 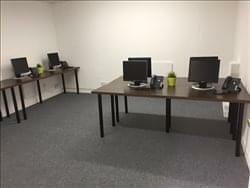 These offices are five minutes from Uxbridge Underground Station and two minutes from Pavillions Shopping Centre. Current tenants include a marketing and advertising company. To obtain information for your selected London Borough of Hillingdon Business Centres, please tick the "Add to basket" box for each office you prefer and complete the form below. We will then send a detailed report via email.